Over last weekend at the park I was playing with the Black and White camera apps I covered earlier. The limitation is only the lack of color, which means a different kind of creative, not ‘more’ creative. When talking with others about shooting black and white, I get a lot of folks saying they need to research what they have to do differently. Depth, contrast… important things to think about when playing. The beauty of digital is we get to play a lot. And of course we know right away what an adjustment did, no waiting for film to be developed. 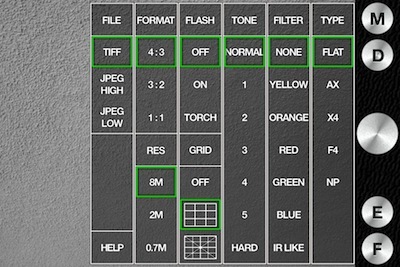 A new app in my Black and White iPhone camera collection is MPro. This is not a filter or image enhancement app. 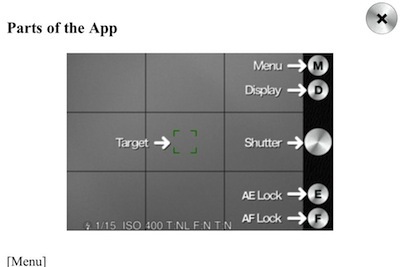 Your iPhone viewfinder shows what the resulting image will be. 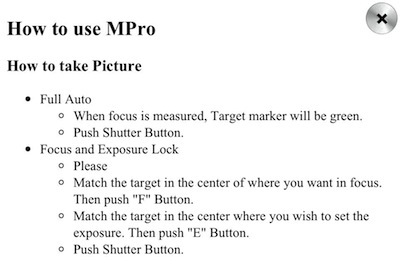 MPro offers a lot of options for how the iPhone camera will take the photo. Tap the ‘M’ button to access the many setting options. The MPro app likes being used in the landscape view, but portrait is also supported. Your setting choices are shown on the screen as a reminder of what your shooting. Talking a picture is quick, but MPro crunches on the photo for a while before dropping it into your iPhone’s photo library. The first time you launch MPro, a ‘How To’ manual pops up. I of course closed it right away to get to the camera fun time. 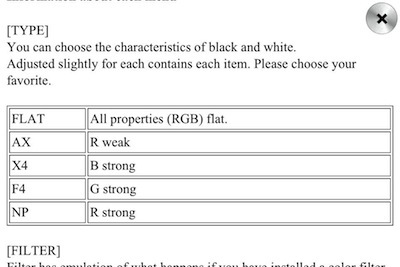 Then found I needed more info about the many setting options. To get back to the ‘manual’, tap the ‘M’ button where the settings are, down in the corner is the ‘Help’ button. Below are the important highlights of the manual that you will want to review for better image results. 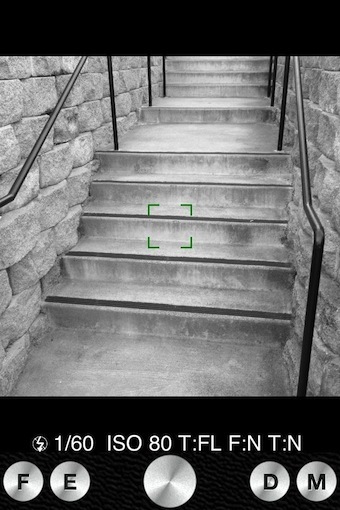 The simple interface allows the act of taking the pictures uninterrupted. As you scroll down through the help file, you will see more details for all of the adjustment options MPro offers. The information is a lot of help when looking at a image and trying to understand what tuning you may want to do to get the impact you where hoping for. 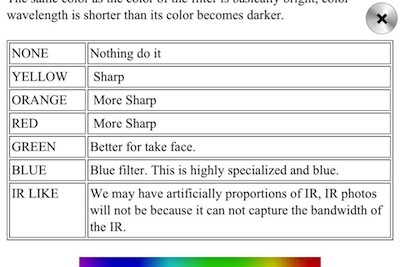 The ‘color’ choice options make a lot more sense with a bit of help about how they relate to wavelengths into the iPhone camera. MPro has the kind of options that need to be tried to really understand the impact of each. 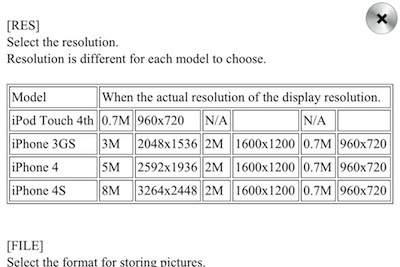 A nice quick reference resolution chart is included for the latest Touch and three most recent iPhones.